Less than a month after the United Soccer League announced plans to develop a new third-division league, the USL’s Division III expansion team – led by USL Division III Vice President Steven Short – visited potential markets in the southeast. From April 25-May 3, Short traveled to five cities in the region, starting in Lexington, Kentucky, and ending in Columbia, South Carolina. He visited Knoxville, Tennessee, for two days and also traveled to Ashville, North Carolina, and Greenville, South Carolina. Short only visited five Southeast cities during his nine-day trip, but those are not the only markets the expansion team is looking at in the region. And Short will continue to visit potential markets, as he revealed plans to travel in the Midwest later this month. His trip includes stops in Dayton, Toledo, Fort Wayne, Lansing and Grand Rapids. "Lexington seems primed for the opportunity for professional soccer. 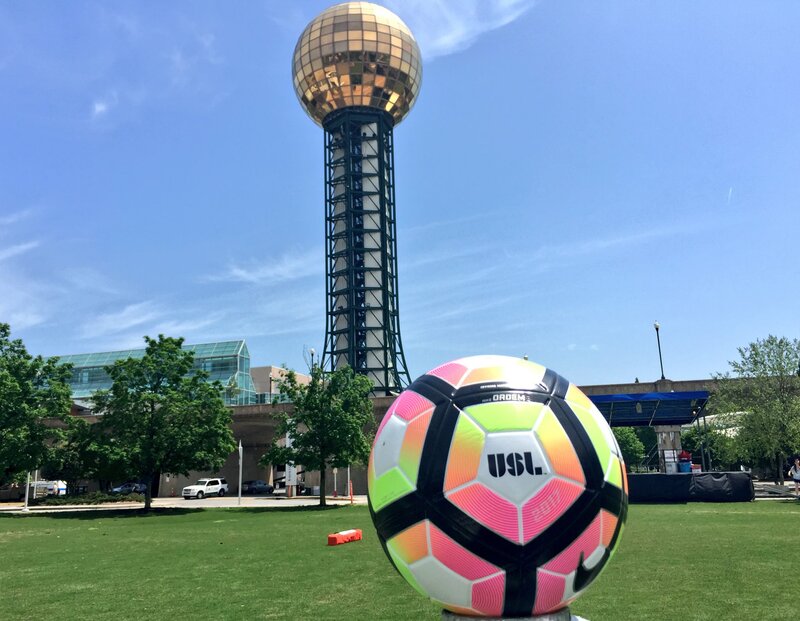 Since the league’s visit, the local discussion has continued to gain momentum and media attention, not only in Lexington but in neighboring USL markets. Located within close proximity to two successful USL clubs in Louisville City and FC Cincinnati, Lexington compliments a natural geographic rivalry from the Ohio Valley and would provide fans of all clubs the opportunity to experience home and away matches for their clubs. Also of interest, I heard on multiple occasions of a soccer league that features teams from the local horse farms. I hope to catch a match or two the next time I’m in town." "There is no doubt Knoxville is a sports town with fans that are among some of the most loyal and passionate in the country. The city continues to grow both in population and infrastructure. There are multiple youth clubs that compete at high levels. The University of Tennessee does not field a men’s NCAA team, however the women’s program is rich in a winning tradition. There is a tremendous opportunity in Knoxville to provide the city with a professional soccer team." "One of the many things I loved about my visit to Asheville is the common mantra for the city as 'a little different' from other cities in the United States. Asheville features more than 20 micro-breweries that allow residents and the 10 million visitors per year to experience Asheville. Tourism is strong and the local residents embrace the outdoor-culture of Asheville. Downtown Asheville is a diverse and eclectic collection of international and domestic influence, which provide the city with a booming inclusive culture. In my mind, I can envision each brewery having its own supporters group, and the multitude of groups converging on a stadium for match day." 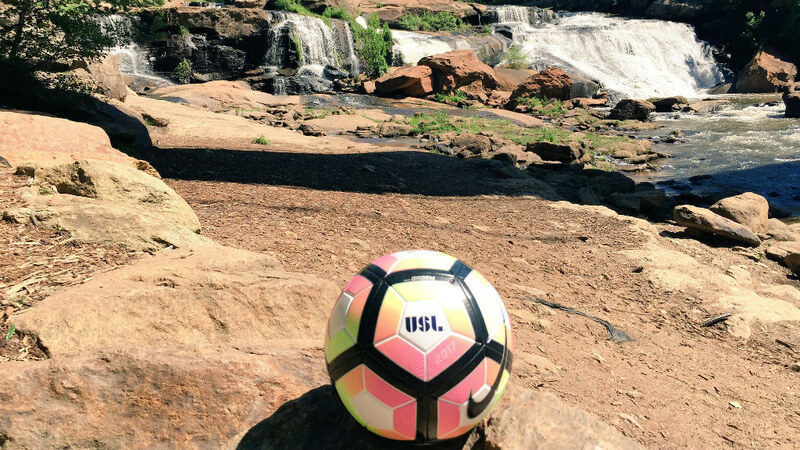 "Greenville is a beautiful city that is home to some of the most competitive amateur and youth soccer in the country. The league continues to learn more about the city and the opportunity to identify local ownership and a potential facility. The downtown atmosphere will certainly provide a scenic social hub for a professional club. Greenville is home to two professional sports franchises in baseball [Greenville Drive] and in hockey [Greenville Swamprabbits]. Professional soccer would complement the Drive and Swamprabbits, providing a dynamic calendar of professional sports options." "Columbia is already a soccer city as it is home to the respected soccer programs at the University of South Carolina, who have provided a tremendous foundation for more than 110 men and women to continue their playing careers into professional soccer. In addition, Columbia is a hub for elite soccer and is home to SC United Bantams of the PDL. Columbia is expected to grow exponentially in population in the coming decade. The city is redeveloping nearly 200 acres downtown into a mixed-use residential, retail and entertainment district which is already home to Spirit Communications Park and the Columbia Fireflies of Minor League Baseball."